This post contains all the spoilers. This episode contains all the feels. Be warned. 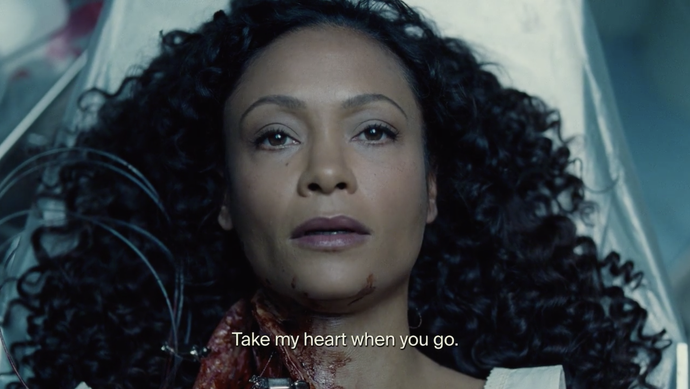 Westworld continues to step up their game this season with another fan-favorite episode entirely built on character. 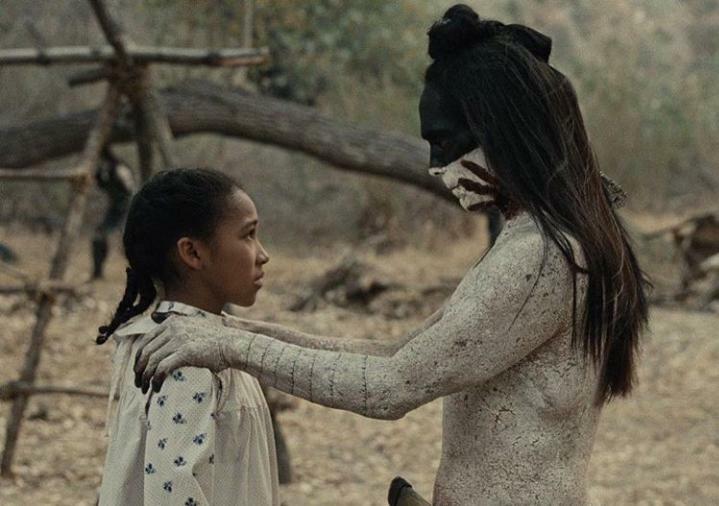 Setting aside multiple timelines, hidden symbols, and red herrings, Kiksuya is a beautiful and heartbreaking love story told from Ghost Nation Akecheta’s point of view. It isn’t just a great episode of Westworld, but television in general. Here’s everything we loved about it. Most Westworld fans treat the show like a game. It’s a puzzle to figure out or, more appropriately, a maze to solve. But the show wouldn’t work if it was just an activity. We need to feel for the characters. We need heart. Kiksuya’s devastating love story following Akechata’s search for his past-narrative wife of cuts to the core. 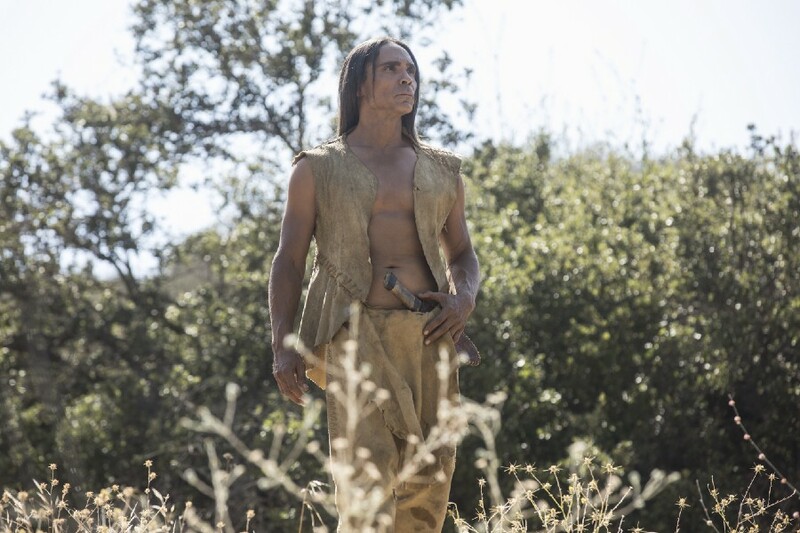 Starting in happier times, before Akechata dons the Ghost Nation makeup, he wakes up next to his loving wife. “Take my heart when you go,” she says. “Take mine in its place” he replies. And we all swoon. Soon after his blissful, romantic morning, Akechata stumbles upon the maze and achieves consciousness. Although Ford and Sizemore wipe both of their memories to start a new narrative, Akechata never forgets his wife or the love he has for her. He finally tracks her down in an equally moving scene of reunion, only to have her taken away by a tech team. 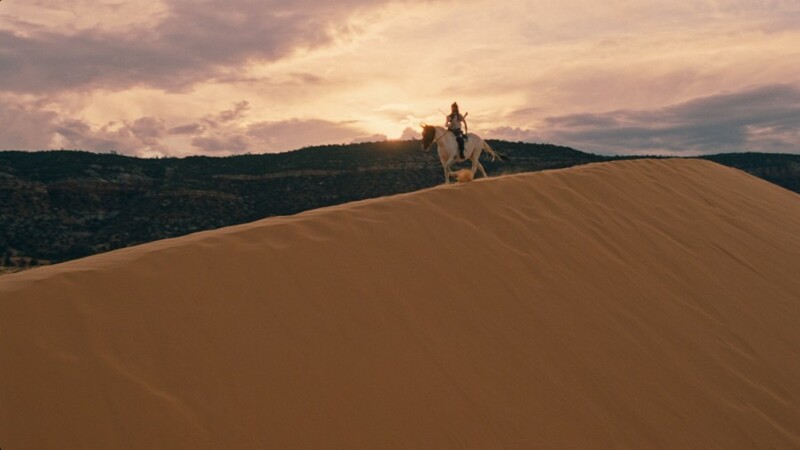 He even follows her into the Mesa, only to discover he can’t bring her back from cold storage. His tear-filled goodbye to her is a devastating conclusion to an epic romance – which is really saying something considering we had no idea who this guy was before the episode started. Slow and sprawling landscape shots create a grandeur to his quest. The showrunners have cited Terrence Malick as a visual inspiration for this episode, and it shows. This episode is poetry. 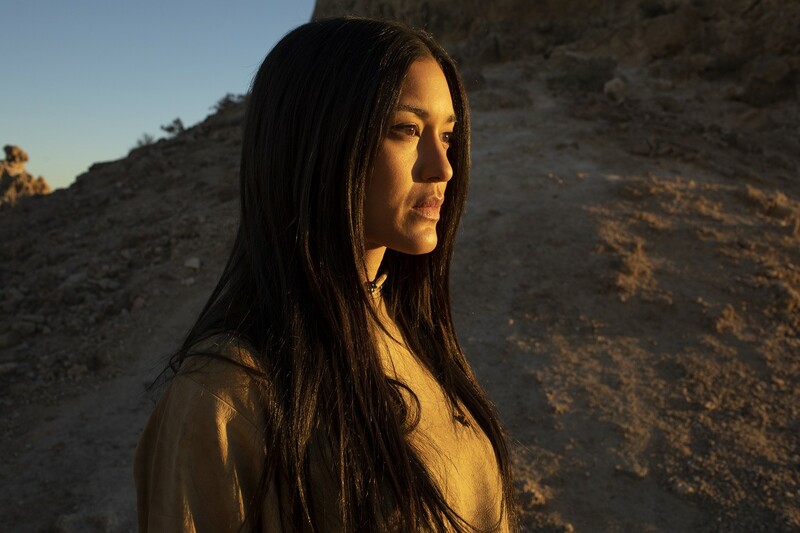 Most of the episode is in “Lakota” language. Following “Akane No Mai” this is the second almost entirely subtitled episode of the show in a season that focuses heavily on themes of power and oppression. The show already took the gamble of having a heavily narrated episode in a different language, let alone a language that only 6,000 people in the world speak. It was the perfect way to hang a spotlight on an underrepresented people group, not just the characters in Westworld but in all television and film. While we have been trying to figure out which of our favorite hosts are most “human” – the most beautifully moving, human story was hiding in the background the whole time. In this episode, Sizemore finally comes around to the idea that Maeve (and all Hosts) could be capable of love and compassion, telling her that she deserves to be with her daughter. If Sizemore is on board, we should all be on board. This payoff raises the emotional stakes for all of the hosts and plays perfectly into the themes of oppression by giving a once-disregarded group of characters their own profoundly moving emotional journeys. The emotional experience of watching this episode makes the sometimes confusing, highly cerebral exercise of previous episodes completely worth the ride, and only raises the emotional stakes as we enter the end of the season. What did you like about Kiksuya? Share in the comments! Previous Entry Tim Burton’s All-New Live-Action “Dumbo” Teaser Trailer Is Here!